Having a Spotify profile that appears to be bursting at the seams with music is a good idea, as it shows that you're productive and prodigious, even if you’re still new to the music industry. If you only have one full album up there, it doesn't give people a lot to choose from, and options are always welcome. It’s difficult if you only focus on 10- or 12-song collections, because those only come along every so often, and they’re expensive to create! Between full-length releases, there's a lot you can do to keep people coming to your profile and listening. 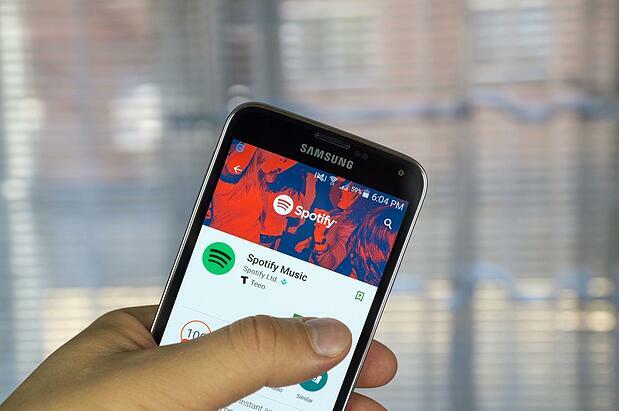 Here are seven ideas for what you can upload to Spotify aside from your next album. This should be a no-brainer, but I've seen many a missed opportunity scrolling around Spotify. If you’re releasing a single, don’t just send the video to YouTube and move on! If you’re going to be spending time and effort to really promote one song that stands out, go all the way! Have some specific and eye-catching cover art created and upload it to Spotify. This tactic has helped sell music for decades in stores, on radio, and now on streaming platforms. Singles aren't dead, and by going out fo your way to post a handful to your Spotify account, you’ll show your fans which ones they need to hear before they delve into the album. I have previously written about how you should be looking into creating commentary to accompany your music on Spotify, so here's my mentioning it again in the hopes that saying it twice will make some people do it. This is quite honestly one of the easiest things you can do to help increase your total play count on the platform (which, remember, is cash coming your way). If you're launching a new album, this is absolutely something you should spend an hour putting together, and after that, you’ll practically never have to think of it again! Recording your live show can be tricky from a technical standpoint, but beyond that, it’s just like any other album once you have the files. Do your research, see what this would cost you, and feel free to speak to the venues where you’ll be playing and find out if they have any insights or perhaps even the equipment you need to make this happen. There are many different ways to package and sell (or stream) live recordings, but not having any really is a shame. Remaking your songs into acoustic versions is something that doesn’t work for every tune, but it’s worth a try, right? Showing how versatile your songs truly are by changing them up entirely can be a great way to get fans to listen to the same song multiple times or to attract new ones who might not have been into your original sound. Recording acoustic tracks is usually easier than with an entire band, so consider spending a bit of time in the studio creating anything acoustic, be that one song, an EP, or even an entire album. If you have a remix made that you love more than anything, feel free to highlight it properly with its own “album” on Spotify. We’ve all seen artists who do this, and it's effective. Uploading a remix with its own cover and page is a great way to make sure people see it and to feed it into Spotify’s playlisting algorithm, which is a phenomenal way to be “discovered.” Feel free to do this sometime after the single has dropped, and you can use it to push the song to press yet again. Having remixes made can be pricey, but sometimes it’s worth it when you can get some attention and some much-needed streams from the final product. If you have a song that’s starting to get noticed around the world, perhaps a remix EP is called for? With that, you can get the attention of DJs everywhere, and it gives dance fans more options. Many big singles have full EPs of remixes, so why shouldn’t you do what the most popular artists on the planet have made work in the past? An EP full of remixes can also be a fun way to breathe new life into an album that many people have moved on from. Get a handful of the songs recreated in new forms, and repackage it as an entirely new collection. True fans will be interested to hear how different their favorite tunes sound, and the new versions could become popular on their own with different crowds. Musicians have been doing covers forever, and with the creation of YouTube, they’ve become even more popular, even more numerous, and even more important for many acts that are up-and-coming. Recording a cover of a hit song can help you be heard by those who might not otherwise give you the time of day, and if it’s an especially well-known smash, you could sit back and watch the stream count rise and rise. Feel free to release these recordings one by one and space them out, or go all Ryan Adams/Taylor Swift and re-record an entire album or EP. It does take some work, but it’s a pleasant surprise for many diehard fans.